As with advertising on Facebook, Bing, and the like, LinkedIn offers opportunities for businesses to reach out and touch users through advertisements. 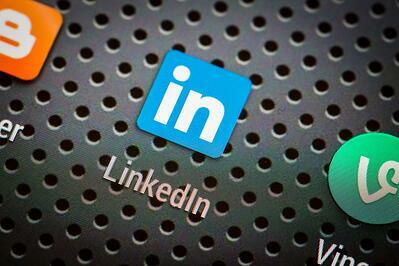 In fact, LinkedIn ads should already be on your radar if your brand markets in a B2B format. Like any other advertising or marketing opportunity, you can get the most out of your efforts by ensuring you’re tailoring your ads in a way that will make the most impact. Here are a few tips from GaggleAMP on how to get the most out of your LinkedIn ads. Geography: If what you’re selling only pertains to folks living in a certain location, then targeting by geographical region or cities can narrow your ad’s reach to make it the most effective. Industry: With LinkedIn Ads, you can target by categories within companies - also known as ‘industry’. This is especially helpful if you’re only trying to reach certain job functions within an industry like banking, automotive, internet, etc. Tip: If industries respond better to ad text written just for that industry, create separate campaigns for each industry that you're targeting. You can narrow your audience by job function (a broader grouping of specific jobs) and job title as well. LinkedIn Groups: This is a great way to cross-utilize LinkedIn’s resources. You can market to specific groups within the LinkedIn network to narrow your audience to those who have shown interest and joined certain groups. As with any marketing post, your title is important. It’s the attention-grabber that can make or break your efforts. Conversely, the ripple-effect can enhance your efforts tenfold if your title catches on quickly! With the advent of mobile and its increase in popularity, creating a title that is mobile-friendly can also advance your efforts. Make sure the title is short and to-the-point, easily readable for the mobile user. For each campaign, you set a payment method: Pay per click (CPC) or Pay per Impressions (CPM). You also set a bid, the maximum you're willing to pay for a click or for 1,000 impressions. If you’re just getting into the swing of things, then you’ll probably want to start within the suggested bidding range. The Suggested Bid Range is an estimate of the current competing bids by other advertisers. The higher your bid within the range, the more likely it is for your ad to be shown and receive click. Leverage your employees to amplify your current social media efforts.